A beautiful green member of the beryl family. It represents justice, right action, and intelligence. Considered to be the stone of successful love, it instills love and integrity, creating harmonious union. 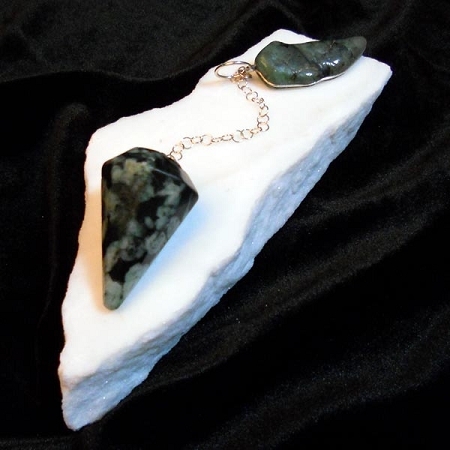 It is said that the "Words of Creation" were inscribed upon Emerald Matrix, giving credence to the sacredness of the rare stone. The traditional birthstone for May.